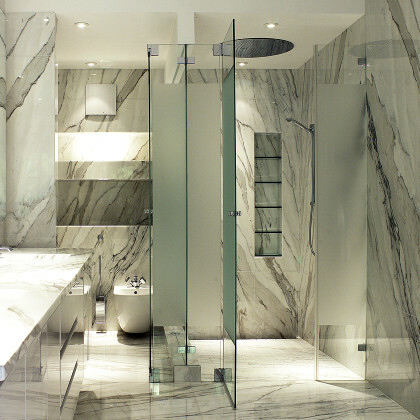 SSI True Frameless Showers with Sandblasted modesty sections are an effective way to create privacy in a luxury bathroom. It is still possible to keeping the feeling of space by having clear sections at the top or bottom of the glass enclosure. Sandblasting glass to create modesty sections is a process that, by definition, blasts sand on to the glass removing a thin layer from the surface to leave a fine frosted finish. (clear sections are protected with foil prior to sandblasting). SSI can produce thick bands, thin lines, logos, borders or shapes for a personalised touch. 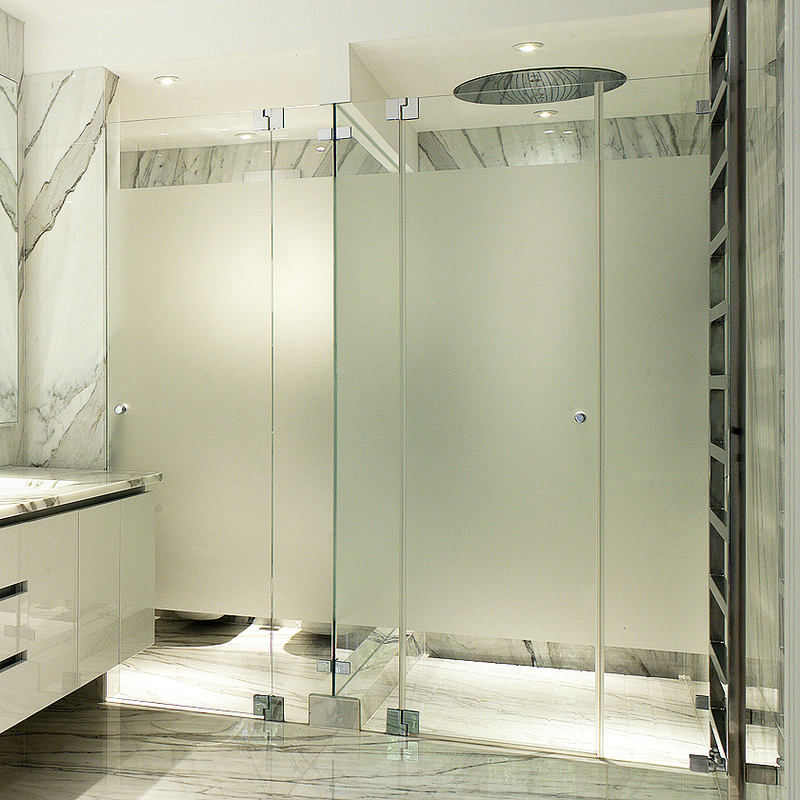 SSI True Frameless does an expert job of surveying and installing frameless glass shower enclosures with sandblasted sections with stunning results.